The original archival website was initiated as an archive linked to other Australian Nationalist political and information sites. A number of Australian writers and authors from the historical movements of nationalism, republicanism, labour and nativism, were placed on-line. The process of publishing such material has continued. A number of contemporary Australian Nationalist political and historical documents were also made available here. We expect to publish new material. Over the last several years, we have sought to recraft the ideological impetus of the Australian movement of national resistance against the globalist state, into an articulate, informed, conscious and deliberate movement. 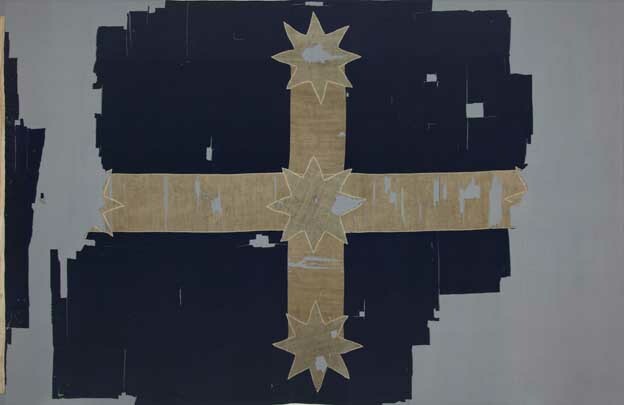 We sought to inspire those who set out to act in order acquire Australian identity, independence and freedom. We set out to further the process of ‘ideological production’. It remains our necessary task to overcome lesser vehicles, operated in good faith perhaps, but which will not underlie political change. Indeed, Australian nationalism has been under attack in recent times from persons claiming to represent it. This has occasioned an energetic response. (i) Ground Australian Nationalism ideologically and historically. The material shall establish the legitimacy of this cause and discern its favoured political expressions, historical place and activism; providing an accurate analysis is vital to combat the misrepresentation of Nationalist ideology and politics by its opponents in politics and the media. (ii) Answer (when appropriate) the State-liberal/political-police propaganda which would delegitimize the Nationalist and patriotic organizations by claiming that they have operated, or do operate, in a criminal manner; this task shall be addressed by relevant exposé of security services’ operated “legal processes” run against Nationalist and other patriotic identities in the past. (i) Be continually updated for the instruction of a new generation of Nationalist leaders and activists. (ii) Prepare a more intensive array of aggressive new-thought documents.This material will address in an ideological fashion, the issues of contemporary economic-political-cultural globalism and New World Order imperialism, and Australian alternatives to the assumptions and poliicies of these entities. Some material from the corpus of Euro-nationalist discourse (both from the historical past and in the contemporary period) may serve here, but only in part. We must develop an Australian system. (iii) Pursue energetically Links which lead to valuable Sites. The Editors welcome that our attention is drawn to selective material. (iv) The Editors will permit clarifying debates and shall not censor any reasonable view on any subject which advances this objective. The documents listed on this page are our current holding. We encourage downloading for personal use. We welcome all manuscripts for consideration. Any enquiries may be directed to the Editorial Board at radnat@alphalink.com.au (or by post to: P.O. Box N291, Grosvenor Place, Sydney, 1220). Readers are referred to the Rallying Point Information Service for your best Nationalist political literature. Quality pamphlets, tapes and other materials are available. The Academy is a new and forthright enterprise in post New Right regroupement. It brings together academic writers and commentators from several countries. Its journal is Ab Aeterno. Check for subscription details. [Editor is Dr. Dmitris Michalopoulos]. Pardon Me: The Anatomy Of An Australian Political Trial by James Saleam, 27 January 1999. A Matter Of Credibility – And Mine Just Got A Whole Lot Better! The Fall of Eddie Funde And A State Perjurer Reveals A Life On ‘Witness Protection’ As A Case Against Me Unravels by Jim Saleam, January 12 2012. The Suppression Of Evidence: A Letter To The Attorney General Of New South Wales by Jim Saleam, January 12 2012.